UPDATE: As of summer 2014, LandCADD is no longer being offered as a Revit Add-In. 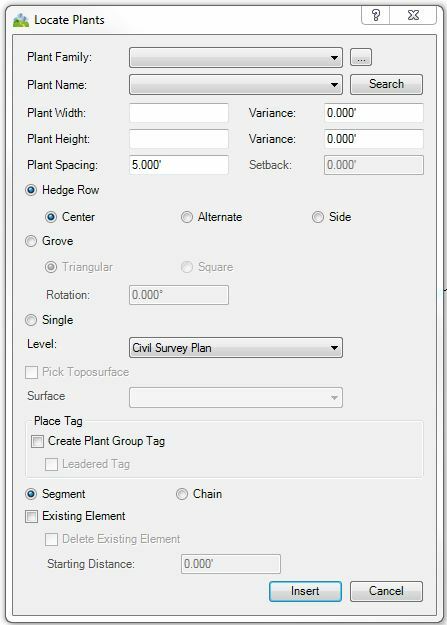 With Revit’s paltry site tools, there are always questions about and interest in EaglePoint’s LandCADD add-in. After extensive experience using LandCADD in Revit 2013, I came to the conclusion that it was an unnecessary tool. Read on for more detail. 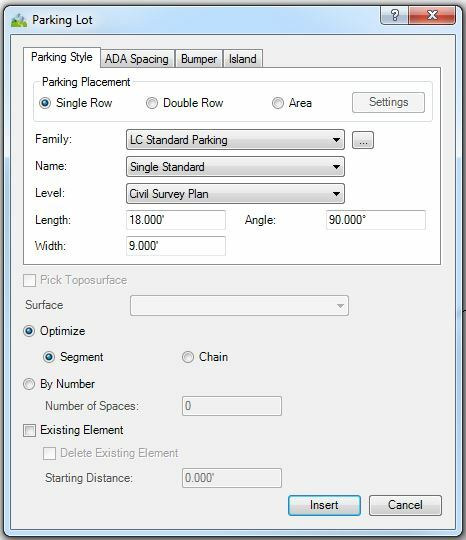 Three of the hardscape tools (fence, parking, and component) simply place components through an extra dialogue box and are essentially slightly more robust array tools. The fence tool was really the only one of these three that I used frequently, after switching to using parking bays (and not individual spaces). The patio/walk tool adds data to a subregion or filled region so that it pulls into the Patio/Walk Report. I don’t understand the point of this tool, when subregions (and even filled regions) can be scheduled (in 2014). Though, filled regions (as an annotation) should never be used to represent physical, model elements. The first three planting tools are similar to the hardscape ones; locate, modify, and convert plants are extra dialogue boxes that place and select plants. I never got much use out of the plant growth simulation, since I prefer to have my plant families already at full height. The only moderately interesting tool: the planting mix has two major downfalls. The first (is the deal-breaker), it pulls areas from either subregions or filled regions, neither of which should be used for plant areas. Second, it relies on the “Plant Mix Report” tool for you to pull this information; it does not pull into a schedule. Additionally, we found that any computer that opens a file that has used LandCADD placement tools but doesn’t have the add-in installed will get an error when opening the file. This applies to opening it as a linked file. Needless to say, our architects and MEP techs got tired of this after a while. So, while the placement tools are sometimes slightly more convenient than using array, I did not find the planting tools useful, rendering the software mostly unnecessary and not worth the cost. I agree for the most part. Doesn’t Landcadd come with a lot more trees and shrubs than revit by itself, though? I’m getting kind of frustrated with the plant selection that came with my copy of revit LT. I can’t find a good source for more, either. It does, though almost none were one we commonly use. Depending on your location and planting preferences, most plant families and types would need to be adjusted. We have built up our families and types over time as we’ve used them on various projects. Or are you referring to the actual plant rendering appearance? As for that, I’m not sure if LandCADD offers anything there. I know there are RPC packages you can purchase, but I don’t know any specifics off the top of my head. Interesting… I hadn’t heard. Thanks for sharing.